Been using LLoyds for years - always a great experience. Most recently, Jose came to provide our Spring service. He has always been great to work with - courteous, detailed and accommodating. He takes great care to ensure he is doing a thorough service and I am very appreciative of his efforts. Knowledgable,clean/neat and polite team.Once going at it, I had no worries. We are very pleased with the results! The service is great and effective. I just wish you had a more automated client contact system for setting up and confirming appointments. I must get over a half dozen phone calls (at least), when it is time to schedule each quarterly service. I know you guys want to communicate and provide good service but it really intrusive when I have to field so many calls to set up one simple appointment. The service we receive from Lloyds is tremendous. No matter the issue ... they can take care of it! Thank you for your support! Lloyds has done a great job for us at three different locations for 40 years or more. Lloyds has always done a good job for us and continues to provide a great service. We are pleased with the great service that Marcus provides. He has the knowledge to hit the right areas that will stop the invasion of insects. Thanks Marcus. On time, polite & careful. Mr. Mendoza was very knowledgeable and professional and took time to discuss what the scheduled service entailed and if I had any concerns. I am very happy with the service Lloyd Pest Control provides. Lloyd Pest Control does a great job for me. I hope this last visit works for the bugs and ants. I do have a complaint. The first man that came out moved my stove to look behind it and did not put the stove back correctly and I cannot open my cabinet. Service has been very effective for control of yard and house pests. Deja is always prompt and professional! Service tech Jose is always friendly, professional, and informative. He takes the time to know the specific needs of our property (and neighborhood) and treats everything with the utmost respect. Haveused Lloyd Pest Control for many years and am very please with their service. I absolutely adore Marcus! He is professional and friendly and takes an interest in me and my dog. Of all the employees I’ve dealt with he is tops! And he is also one of your best assets - don’t lose him! Lloyd's pest control was outstanding for our home. They responded every time we called to have service done to make sure we were pest free. If you need a reliable service look no farther, Lloyd's is your team. Let me start off by saying our field guy Roy is wonderful. He is so polite, knowledgeable of his field and ready to help us with what ever little pest is bothering us. Second the auto call to say when Llody's will be out plus the 30 minute before call from the field person is very helpful. Thank Lloyd's for many years of great service. Thank You for your outstanding service (Jonathan) Thanks Don PLant. We have been using Lloyd Pest Control for several years without any complaint. We live on a canyon so we get ants. My husband is very sensitive to pesticides so all spraying has to be done outside. The ant invasion used to be a regular event but no more. Every three months Lloyd treats the exterior and we are ant free. I don't have to pack up the house or arrange for someone to be there for a technician. This is so easy, I could not be happier. Thank you for maintain our building (Imperial Ave.). four stars. Daniel Dahl, should be a SUPERVISOR, he excels in customer service skills, a TRUE proffesional, definitely a TREMENDOUS ASSET TO LLOYD PEST/termite control co.
Lloyd’s always does a great job. We have no problems with ants or other critters since they have been spraying our property. We’ve been Lloyd Pest Control customers for many years. We’ve always had expert service. We really like our newest technician, Jose Esparza. He’s such a nice, polite young man and he did a wonderful job on our property including web dusting. As senior citizens, it’s becoming difficult for us to keep up with web dusting the difficult to reach spots on the outside of our home. Keep up the good work, Lloyd Pest Control, and we’ll continue to be loyal customers. Great service, always available if there is an issue. Service reps are friendly and reliable. Have used Lloyds for years. Great customer service, scheduling service super easy and friendly dispatchers. Service tech very friendly and works fast. The work is done very professional and I am very happy with it. We left instructions with your office staff as well as a note for the technician and things went off like clockwork. Thanks. I'm usually never there, so I don't know if they come or not. They do call me ahead of time, and they leave notices on my door, which I appreciate both of these services. Only thing I really care about is, I DO NOT SEE ANY BUGS, SPIDERS, ROACHES, OR ANTS!!!!!! Hate them!!! Thank you for your service your company has always done a great job they are very committed to serving the customer /property as well as communicating of time/ day and arrival time on day of service all very appreciated. Very professional and lots of great advice. 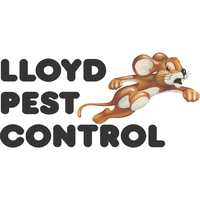 We have been with Lloyd's Pest for decades and our service has been consistently EXCELLENT. Thank you. The service is really great. If you have an issue you can just call them and they will come back and respray. The people are kind, friendly, and quick. We haven't had any issues. We've used Lloyd's for the last 3 years and are completely happy with their service. We have always been happy with Lloyd's service which we have had for about 45 years. We have been with you for many years and always good service... Marcus is a nice young man and does a good job. We have been customers of Lloyd Pest Control for over 15 years. We are so glad we made the decision to go with them when we did! We used to have a battle against invading ants at our last home until we hired Lloyd, and the battle returned as soon as we moved to our current home, so we are so glad we transferred the service over to our new home after we moved! Life is too short to waste it by battling ants! We are Lloyd customers for life!